The articles on this page are intended to counter those who promote division. Though problems should be raised, and addressed, there must be balance, so as to avoid the perpetuation of bitterness. The following letter was sent to the Chief Editor of ‘Ceylon Today’, in response to a misleading article about the draft Reconciliation Policy. The article also seems to have made up things about the Sri Lankan approach to the US sponsored resolution, in its desire to play to what seems the current agenda of the United States. The letter is followed by the ‘Ceylon Today’ article, and then a more balanced account of the Policy taken from the ‘Sunday Times’. 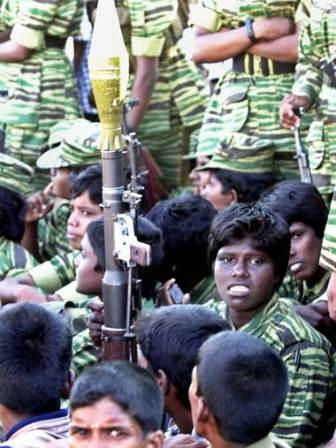 Tamil rebels holed up in ever-diminishing territory in northern Sri Lanka forcibly recruited children to take part in final defences against government troops, according to a former senior official. Some of the youngsters were sent to fight with just one day's basic training. A number of civilians who tried to escape to the government side were shot. The official, who held a non-military position with the Liberation Tigers of Tamil Eelam (LTTE), said that in the spring of 2009, the rebels found themselves in an ever-worsening situation that led them to step up their forced recruitment of civilians between the age of 14 and 55. He said more than 300,000 civilians had intentionally been held to provide cover for the LTTE fighters. "There was no age discrimination. One day's training and then [they would] get sent to the war front," said the former official, who said his own child had been forcibly recruited, but that he was able to escape towards government troops. Asked if he believed the rebels committed war crimes, the former official said: "There were many war crimes during that last time. The civilians knew [what was happening]. They could not move out of LTTE control. Some people who tried to leave were shot." 5 Nov 2011 - How Channel 4 claimed to 'authonticate' a video clip that had been edited backward. He obviously knew the reporters from the Times and from Channel 4 who attended the meeting and whom he commended by name. 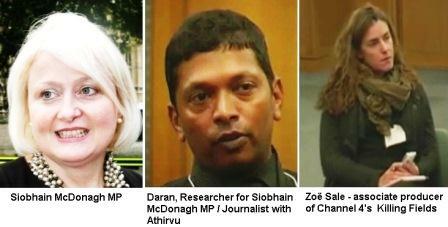 This association is the more strange in that it was revealed that Siobhain McDonagh had claimed involvement wih Channel 4 in their creation of the film used to atach Sri Lanka. It is hoped that the Labour Party will investigate her involvement with such a 'researcher' whom she brought to the meeting. Given that this 'researcher' claims to be a friend of the Defence Secretary, the manner in which such propagandists spread their influence far and wide should also be investigated, given the recently expressed determination of the Commonwealth to deal firmly with terrorism. It is to be hoped that Britain will not be selective about its targeting of terrorists, and succumb to financial pressures which the LTTE and its offshoots are adept at employing. 1. Simon Hughes launched an attack on Sri Lanka and its government in his speech intended to welcome members of Liberal International. He did this knowing that the Liberal Party of Sri Lanka is part of that government. He also did it in knowing contravention of facts. 2. 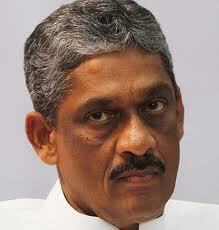 To cite one obvious example, he implied that the ICRC was not allowed in during the conflict in Sri Lanka. 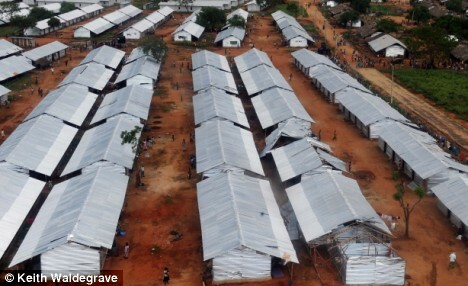 In fact the ICRC was present throughout, and I had informed him of this when we last met. He affected surprise at this, and said he would check, but clearly he failed to do so. I attach two letters, one from the ICRC, the other from the Commissioner General of Essential Services, making clear our joint efforts to help our citizens held hostage by the LTTE. An extract from a UNICEF publication makes clear what was being done to these people. 22 August 2011 - Addressing concerns of the international community systematically - is it possible? 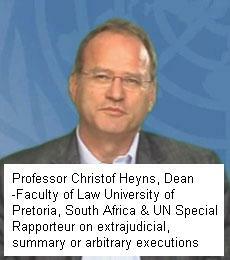 The double standards that are patent in the report of Christof Heyns on the Channel 4 video almost defy belief. I have already pointed out how he falsified what his predecessor said about Siri Hewa, while himself using experts who had previously acted as advisers on this same issue, all from the same country which, at least if the public pronouncements of some of its leading diplomats are anything to go by, seems to have prejudged several issues. These experts have finally admitted that the footage has been edited. This was not mentioned previously, whereas now it is trotted out as providing very simple explanations of what seemed inexplicable previously. 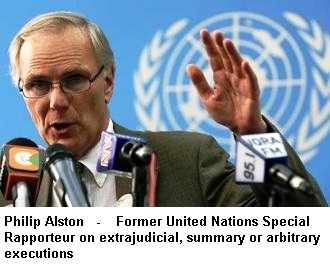 Since Alston had previously claimed that, while there were ‘a small number of characteristics which the experts were not able to explain….Each of these characteristics can, however, be explained in a manner which is entirely consistent with the conclusion that the videotape appears to be authentic’. Why then were these not explained previously? The answer seems to lie in the fact that, until it became too obvious for even this bunch of so-called experts to deny, the fact that the video was edited was suppressed. But, in admitting that the video was edited, it is stressed that this was only ‘the type of rudimentary editing possible on a mobile phone’. There is no attempt however at explaining why, in the course of this editing, the order in which events are supposed to have occurred has been transposed. Amongst the many absurdities in the Channel 4 saga is the complete impunity enjoyed by Channel 4. In August 2009 it showed a video which led to an immediate response from Philip Alston, the Earlier Christof Heyns. Alston’s initial letter, which was accompanied by a press release, was immediately responded to with a request that he investigate the video which Channel 4 had shown, since it was not clear whether he was asking the Sri Lankan government to investigate the video or the incident depicted on the video. Alston typically dodged the question, and went into a long spiel about how my response was ‘equivalent to a police officer telling an alleged victim that no investigation will take place until the victim can definitely prove to the officer’s satisfaction that the alleged crime took place’. This was the sort of obfuscation Alston specializes in, because I cannot believe that a Professor could not tell the difference between asking someone who reports a crime for further details and asking an actual victim. Indeed Alston’s density or low cunning became more apparent when he subsequently claimed that the situation was similar to that in which ‘an individual was beaten up or raped and reported the matter to the police, but because of the trauma suffered was unable to identify when or where the alleged assault took place’. Be that as it may, having dodged the issue for as long as he could, Alston felt obliged when our own experts showed several flaws in the video to actually look at the video himself. However, with his usual habit of hiding facts, he did not tell us that he had not got from Channel 4 the video that they had shown. It was only in reading through the accounts of his experts that we found out that the video had in fact been received from ‘a group identified as “Journalists for Democracy in Sri Lanka”’ (First Report of Mr Spivack). It is clear then that Alston, whilst concealing the fact from us, permitted the source of the original evidence – for Channel 4 said they had got their video from this group – to tamper with a subsequent version. Mr Siri Hewa, whom Alston denigrated as ‘a member of a network of Sri Lankan Professionals’ (which Alston Mark 2, Mr Heyns, transformed gratuitously into one of those who ‘had previously acted as advisers to the Government’ (which the original Alston, bless his soul, never claimed) noted that the original video was high quality and different to the video the UN analyzed. Some differences were detected but Alston maintained a stunning silence about the discrepancy and his failure – if indeed he tried – to convince Channel 4 to give him the original video they showed. I have now had a chance to go through the report presented to the United Nations Human Rights Council by Mr Christoff Heyns who has taken over the mantle of Philip Alston. He clearly sees himself as Alston Mark 2 for he actually says that ‘some further evidence was obtained and considered by the current me’ (doubtless as opposed to the ‘earlier me’, Philip Alston). However, the Current Me’s effrontery is even more brilliant than that of his predecessor, beginning with his choice of experts to back up his case. First of all he appointed precisely those whom Alston had appointed, namely the trio of Spitz and Spivacak and Diaczuk, all Americans. 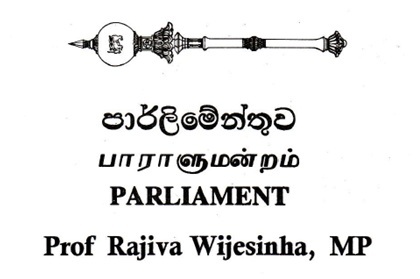 He notes that the Earlier Me had objected to the experts Sri Lanka had cited previously, on the grounds that they were all Sri Lankans and were in the army or ‘had previously acted as advisers to the Government.’ This is completely untrue, since Mr Siri Hewa is not Sri Lankan and had not previously advised the Government but simply wrote out of the blue when he noticed the absurdities of the Channel 4 Video. But, having blithely, like the Earlier Me, dismissed all Sri Lankans, Heyns then proceeded to hire, hey presto, precisely three Americans who had acted as advisers to that Earlier Me. Following my previous correspondence on the selective and sometimes tendentious nature of the report given to you by Messers Darusman and Ratner and Ms Sooka I have come across yet further evidence to challenge their claims. You will recall that the Report refers several times to the work done by the ICRC to supply food and medicine and to evacuate patients (though it turned out that the LTTE sent many more so-called bystanders than actual patients). 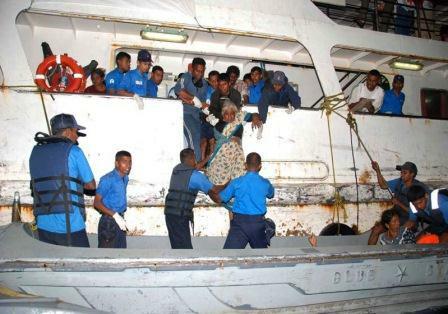 In no place in the Report was there any record of the facilitation by Sri Lankan forces that made these humanitarian operations possible. I had indeed recalled positive mention of this in an ICRC report last year, and tried to find this a few months back, but such mention could not be traced in the press releases I was given. 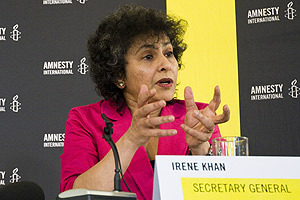 5 May, 2011 - Darusman Panel misrepresents UN Secretary-General in throwing LTTE abuses he condemned on Sri Lankan government. Your perspicacity is apparent in that last phrase, implying that the LTTE does exist as a military organization elsewhere, and I hope you will share our fears about its continuing activities, similar to those President Obama felt about Al Qaeda. I am writing to express my deep disappointment at the content and release of the Report of the Panel you appointed to advise you on certain particulars. There is much in the Report that is deplorable, and I have addressed some of these aspects at length in articles, which you and your interested colleagues may wish to look at on my blog, www.rajivawijesinha.wordpress.com, collected in the section called ‘Post-Colonial Practices’. I am writing to you personally however with regard to misrepresentations in the area with which I was personally concerned, as Secretary to the Ministry of Disaster Management and Human Rights, which had a mandate to coordinate humanitarian assistance. Your Report criticizes the work of Government in providing humanitarian aid in eighteen different paragraphs. Some paragraphs repeat the same allegations, in imitation perhaps of the Lewis Carroll like assertion that what is said three times is true, but I am sure you are familiar with such techniques and will make allowance for them. A similar mistake was made later by Hillary Clinton, for which the American Ambassador in Colombo apologized. This was doubtless for similar reasons, though sadly the truth never came out, though we were happy to accept the Ambassador’s olive branch and be reconciled. It would be preposterous however if the United Nations, or a Panel appointed by its Secretary General to advise him, similarly ignored senior United Nations staff. I am writing therefore to ask you whether your Panel did interview Neil Buhne, the Resident Representative throughout those difficult days, and looked into official UN documents. In this context I attach just one of the many letters we received which testifies to UN appreciation of the enormous amount of work done by Government on behalf of the displaced. I hope that perusal of this letter will convince you that your Panel has not done a serious or objective job. I look forward to hearing from you, and to continuing interaction with the United Nations, under what I trust will be your knowledgeable and wise and independent leadership. One of the more astonishing features of the Darusman Panel is the character of its chairman. I have in fact met him, for he has participated in workshops organized by the Council for Asian Liberals and Democrats, which I now chair. He was I think Attorney General of Indonesia in those days, serving in the government of President Abdurrahman Wahid, who subsequently became an individual member of CALD. What I did not know then, and only found out recently was that Mr Darusman had previously been a member of the Golkar Party of President Suharto. 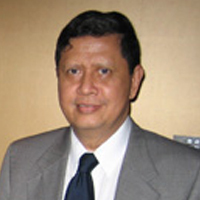 In 1999 he was Co-Chairman of that Party and also Chairman of the Indonesian National Commission for Human Rights. 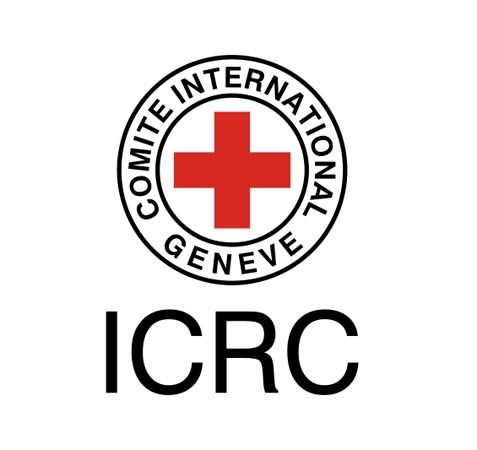 I write to exercise a right of reply to the statement you have quoted from the Report of the UN Panel which claims that the Ministry of Disaster Management and Human Rights responded by accusing the ICRC of naiveté when I responded to a statement issued by the ICRC in Geneva. The Panel has been selective in suggesting that my response dealt with the ICRC’s reminder that ‘wounded and sick people, medical personnel and medical facilities are all protected by international humanitarian law. Under no circumstances may they be directly attacked’. This particular attack on us is not unexpected. The security officer who is mentioned is Chris du Toit, from a very distinguished South African family that had been involved in military activity during the apartheid regime too. He was responsible for the initial claim of around I think 2000 civilian deaths, which some people in the UN system began to circulate in February 2009. I have now had an opportunity to read through what is supposed to be the Report of the Panel appointed by the UN Secretary General to advise him on what were termed accountability issued. The report has been leaked by the indefatigable Sanjana Hattotuwa, who does however note that he cannot confirm if this is the actual text. 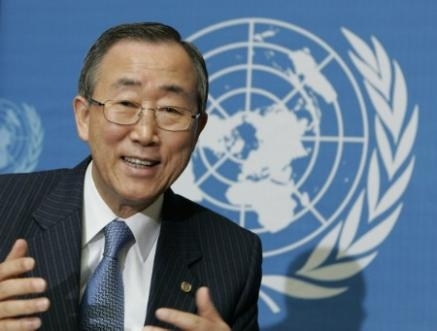 He adds that the UN has regretted the leak. In responding to the report, I believe there are four areas on which we should concentrate, with dignity but determination. The first is to look at the alleged facts, on the basis of which the Panel has made certain criticisms of our armed forces. The second is to deal with their suggestions as to how the country can ensure reconciliation, with appropriate remedial action. The third is to examine the methodology employed by the Panel. Finally, we should consider, on the evidence of the document, and not simply in terms of prior suspicious, though these may be used to substantiate internal evidence, the motivation behind this report. 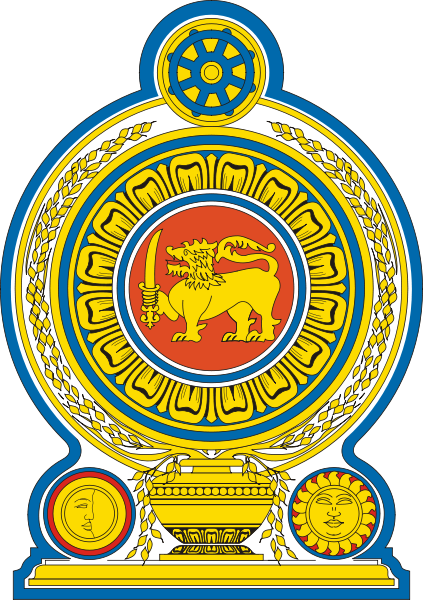 01.During this post war scenario Sri Lanka’s critical success factor is rebuilding the Countries image as a democratic nation. According to your personal opinion so far how we reach that target? I don’t think there were ever any doubts about Sri Lanka being democratic (except in the period between 1980 and 1989, when Mrs Bandaranaike was prevented from standing in the Presidential election, when we had the now universally condemned referendum, and when you had murder and mayhem and extremely low turnouts in Provincial Council and Presidential and Parliamentary elections). Our problem was rather to establish ourselves again as a pluralistic nation with the full participation in the economic, social and political life of the country of all segments of the population. It is clear that we have succeeded well in this regard, with much infrastructural development in the North and East as well as elsewhere, and much more active participation in elections, from the low into which the LTTE plunged it. We can do more in Human Resources Development, but the base there was pretty good, and with the new initiatives of the Ministries of Higher Education and Youth Affairs, we will be able to move quickly. The 2010 Human Rights Report on Sri Lanka issued by the BUREAU OF DEMOCRACY, HUMAN RIGHTS, AND LABOR of the US Department of Stateis potentially a useful document for Sri Lanka, since it brings together several cases which need to be pursued. Seven cases are cited of deaths in police custody, one involving four persons in Trincomalee, and another two in Moratuwa. These are disgraceful, and they should not only be investigated thoroughly, but action should be taken against the perpetrators if unnecesssry violence was used. In only three of the instances are there even allegations of provocation, and those too do not seem entirely plausible. We know that all over the world police can sometimes react violently to what they perceive as criminality. It is not excuse however to cite precedent. A couple of days back I was asked by the BBC Sinhala Service in London to comment on the 2010 Human Rights Report: Sri Lanka issued by the BUREAU OF DEMOCRACY, HUMAN RIGHTS, AND LABOR of the American State Department. I had come across these reports previously, when I was Secretary to the Ministry of Disaster Management and Human Rights, and I assume that, with there being lack of clarity about administrative responsibility now for Human Rights, the BBC thought they might as well ask me about the issue now as well. They gave me very little notice, and suggested it would be enough if I just glanced through the synopsis with which the report began, but as it happened I was able to look through some of the rest. This was a good thing, because I discovered a mismatch between the introduction and the rest of the report.